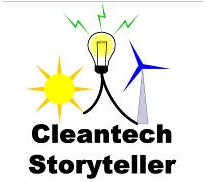 · www.cleantech.com - Cleantech Forum - Provides insight, business opportunities and relationships that catalyze the growth of Cleantech markets. · www.renewableenergyaccess.com - Renewable Energy Access - RenewableEnergyAccess.com was started in 1998 by a group of Renewable Energy professionals who wanted their work to relate to their passion for renewable energy. With this passion and the desire to create a long term sustainable business, we have created perhaps the single most recognized and trusted source for Renewable Energy News and Information on the Internet. · www.renewableenergyfocus.com - Renewable Energy Focus - Renewable Energy Focus provides a forum for debate and dialogue between research, industry, financial organizations and government bodies worldwide. Renewable Energy Focus keeps you and your organization completely up-to-date with the industry as a whole as well as with the individual renewable energy markets. Gregory Blitz, Director of Operations, NEW Customer Service Companies, Inc.